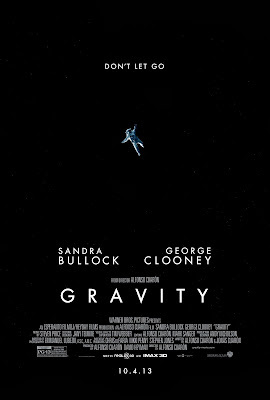 THE FINE ART DINER: Gravity: Movie Of the Year??? 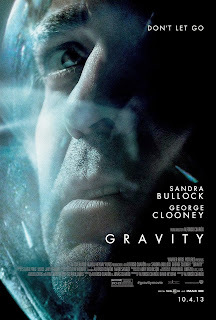 What are two other space films we could contrast with Gravity? Star Trek Into Darkness, a very triumphant film about America's presence in space and how space exploration contributes to our economy, identity, history and prestige. There is also Men In Black III, when the villain--Boris--attempts to destroy K by stopping the launch of a shuttle into space, i.e., the winning of the space race. On the other hand, there is also Prometheus, a very surprising film that wasn't negative about space, but how some people behaved regarding what was discovered because, the only real hope for Noomi Rapace's character is to go back into space to solve the riddle left at the end (Prometheus 2 is in the works). 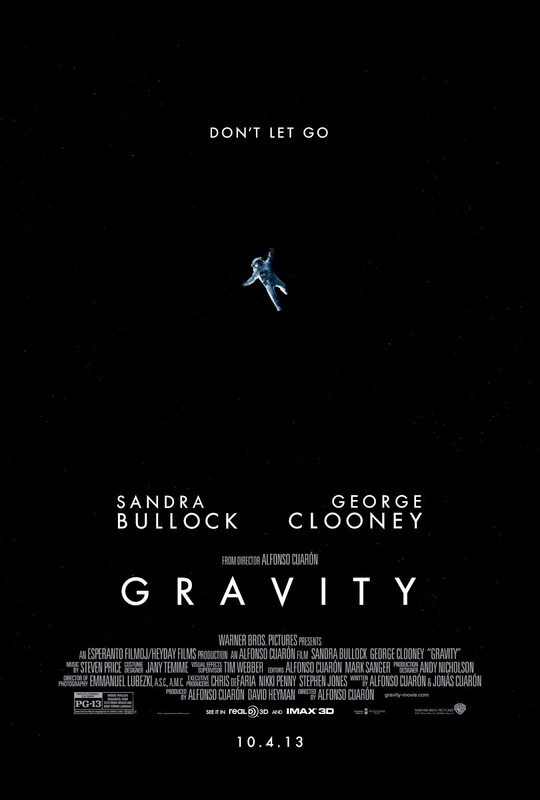 There are a number of other films taking place or referencing space (Oblivion and Elysium, for example) but Gravity has done something quite remarkable: it has made people who have only seen the trailer--reached people who won't even go see the film--and planted in their minds, "It's bad to be in outer space." So much can go wrong, and out of compassion for those "poor astronauts" I don't want this to happen to them, so I won't support space exploration,... That's a pretty impressive feat. 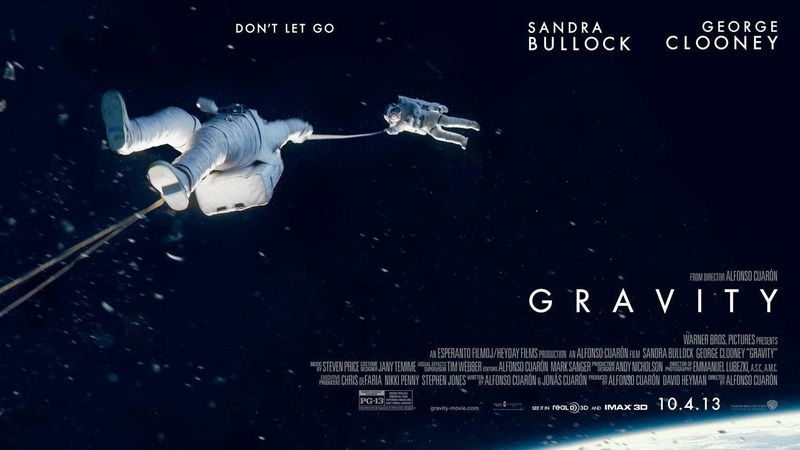 Regardless of how much--or how little--Gravity brings in at the box office, if it succeeds in defeating Americans on the front of exploring in space, and making the decision to not go back into space seem like a prudent decision of good judgment, then it has accomplished a massive victory for all those who hate America. This is where details of NOT having seen the film could alter this reading of the film that I have, because you and I both know that I have been wrong many times before. According to this reviewer, who also very much liked the film, Stone is trying to repair a "malfunctioning" part while Matt is about to break the record for time space-walking and, there is a third character out with them, Shariff (Paul Sharma). Matt breaking a record can easily symbolize that competition-streak in America we have noted before in films such as Moneyball, 42, The Internship and the scene that takes place about the "last Super Bowl" in Oblivion. Shariff might symbolize the role of "sheriff" America has taken in the world that anti-Americans despise us for because we stopped the spread of socialism in so many areas, even areas where those who hate America say we lost (such as North Korea and Vietnam). We know this is a "routine space walk" but we also know that the drastic changes forced upon America by Obama's Administration and Congress have been any thing but routine, even though they have tried to make it appear as such. These are elements and details that will create the message being conveyed to us by the film. What is something we hear Matt (Cloony) say in the trailer? "Isn't it beautiful?" to Stone (Bullock). Where have we heard this before? Elysium, when a nun gives Max (Matt Damon) the locket of a picture of earth inside it, isn't the earth beautiful? Why would you want Americans destroying and polluting something so beautiful? You had better go with socialism (the message of films like The Lorax, Epic) so as not to destroy the earth because look at what capitalists do to it (Elysium and After Earth). THEN, the debris hits the station, causing chaos, so it's bad to be in space, because if we weren't in space, this couldn't have happened. We also see this same kind of logic employed in The Conjuring: there is a photograph of the day that saves Carolyn Perron from possession, when her family was out on a beach, public land, a beautiful place (an environmental message and a message against private property). Likewise, the Perron family buys a house and they also get a demon, so buying a house is bad, otherwise, you might get a demon, and giving kids toys--like dolls and music boxes--is bad because those can become possessed. We have been seeing this consistently throughout the last two years: socialists make a case for socialism based upon NEGATIVE experiences of capitalism that they take from isolated episodes into absolutes: if you buy a house, this will happen,... if you go into space, this will happen,... Because socialists don't have anything positive to say about socialism--they can't, after all, what are they going to try and say?--they instead tear-down capitalism and make it look evil. Again, I haven't seen Gravity, however, it seems to fit into a pattern of films we have seen that are pro-socialist by being anti-capitalist. Again, I have not yet seen the film, and it's difficult when there are only a few trailers and clips which keep repeating the same things. However, the traditional symbol of a "ship," (in this case, the space station ship) is that of the government (the "ship of state"), and women of child-bearing age (Bullock's character, and we know she all ready has a little girl) symbolize the "motherland" or America. Men, of middle-age (Clooney's character) symbolize the economy. So, what we have here, generally speaking, is a film about something coming out of nowhere to destroy the American government, hurdling the motherland and American economy out into the un-inhabitable stretches of outer space. To a lot of us, this sounds like a pretty accurate description of what Obama has done to America. But is that what the film is saying? This minor details makes all the difference in the "message" of the film: it's a Russian satellite that destroys the space ship. We have said that Stone probably symbolizes the "motherland," and seeing her in the fetal position in trailer demonstrates that she herself is going to go through a "new birth" experiences of her own self as a result of what is happening. There is another element we see in the trailers supporting this: the tether cords. In Star Trek Into Darkness, we discussed two uses of tethers as "umbilical cord" symbols (one was at the start when Spock's tether snaps and he's stranded in an erupting volcano, the second is the fire hose Kirk throws into the engine of Kahn's attacking ship as Kahn tries killing all the Star Fleet commanders). In the openness of space, and the "life line" her tether is, and knowing she is a mother herself, it's easy to see the "umbilical cord" to the "mother ship" being destroyed and that throwing the audience into despair; why? How? As we have noted, the space station would be the government, so the government is our "life line" that we WANT to be dependent upon for our life's very necessities, in this case, air, food, shelter and a ride back home. Stone being a medical engineer PROBABLY references in some way Obamacare and the wide-spread, sweeping changes about to take place regarding the socializing of the health industry in America. Why would Matt be a engineer? Because in socialism, the centralized government "engineers" all supply and demand of products and services, rather than the free market, so IF this is a pro-socialist film--and I am not saying it is--it might demonstrate how the engineer is more important than the competitor trying to break a record. This shot does a great job of illustrating the "umbilical cord" discussed above; the tagline, "Don't let go," emphasizes that it's a lifeline; why do this? We saw this in the animated film The Croods: the world is a harsh, harsh place, and no one can make it on their own, just as no one can live in space, so you have to have the government to protect you because you can't protect yourself. Please recall that the same basis was the storyline for the movie The Purge, when all emergency systems (government assistance) was suspended for a night so everyone could descend into anarchy (and The Purge 2 is being made). But we have also seen this EXACT OPPOSITE situation in The Dark Knight Rises: remember when Bruce Wayne was in The Pit, and he kept trying to climb out, but kept failing, then one of the men told him to climb without the rope because he would make then when he had more to lose? That "lifeline" was actually holding Wayne back from being able to achieve what he needed to accomplish. Again, I don't know which way for certain the film is going to go, however, this "umbilical cord" device has been encountered before and we will need to see how it's used by the film makers. ﻿ It wasn't a film many people saw, but Richard Gere could have been nominated for an Oscar as a desperate businessman trying to sell a weak company to another businessman (please see Capitalizing On Imbalance: Arbitrage for more because we will be discussing the film again when I post on World War Z). In that, Robert, ends up blaming the "corrupt Russians" for his failed business enterprise, because if Russia were still communist, he couldn't have done business with them (not in those exact terms but, trust me, the film is definitely anti-capitalist). In Gravity, a Russian satellite explodes and the debris from that satellite is what damages the space station Stone and Matt work on. 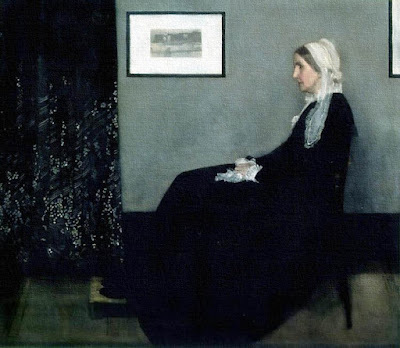 We'll discuss our last point here: what do you see in this image? Not much, which leads us to the issue of "desolation" in the film. In the December release of The Hobbit: the Desolation Of Smaug, we will be discussing this theme again, but in a positive way: Bilbo Baggins, like Hushpuppy in Beasts Of the Southern Wild, will experience "desolation" in his soul so he's strong enough to endure the test against the dragon, Smaug, and even in Keanu Reeves' 47 Ronin, his character will have to experience desolation, as well. Socialists hate this. Christianity has taught us that suffering, while it's not something any of us want, is something necessary for our souls and God brings good from our desolation and suffering. Socialists want us to be terrified of suffering so we will seek out the government to "save us" from suffering. In the image above, space looks pretty desolate, and Stone "detaching herself" from the space station is properly a warning for us not to detach ourselves from government assistance (more people are on food stamps now than ever). So there is probably going to be the simultaneous building up of fear of being "let loose" in desolation, while the film will be admitting that "desolation is necessary" to really implement socialism; case in point, World War Z. I would say that film presents a pretty desolate view of the world and billions of people being put to death; while WWZ is an attempt to condition us that people are going to have to die, so just get use to it, Gravity is probably going to say the same thing: things are going to get a lot, lot worse, when you have to drift further and deeper into space before you can be saved by the all-powerful government. George Clooney plays Matt Kowalsky which, to me, sounds like Mike Wazowski (Billy Crystal) from Monsters University. Why MIGHT (and I am not saying it is, just possibly) the film makers want to make the connection between a character being portrayed by the "great" George Clooney and an animated monster? Mike is highly competitive in Monsters University, so much so that he makes competition look good; Matt is highly competitive, he is doing this space walk to set a new record, so besides the possibility that their names sound alike, they have that important characteristic they share. Socialists hate competition because they want everyone to be mediocre; why? So no one will feel they have a "gift" and deserve special attention, everyone is equal (really so no one will overthrow the government because no one is smart enough to). Again, I haven't seen the film yet, however, it's possible that we will be able to make this connection between the two films.